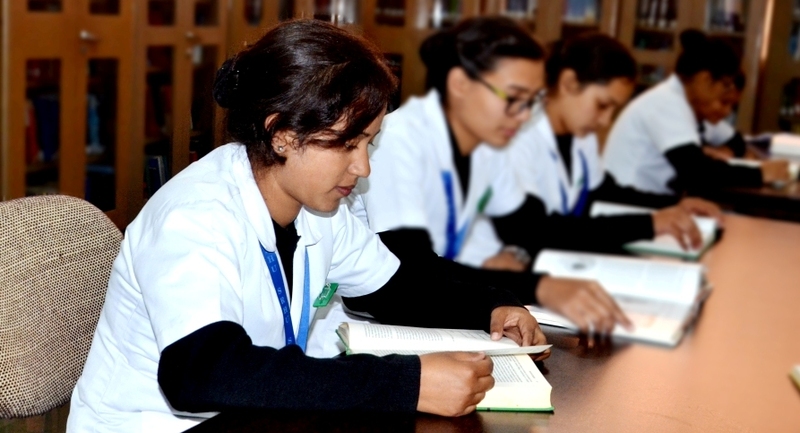 SRHU’s library services are one of the best among the private universities in India and are provided through four faculty library centers which are located at the Medical Institute, Management School, School of Engineering and Technology and Nursing College. Central Library of the University, approximately 2400 square meters in area and with total seating capacity of 425, was established in 1992 to support Medical, Paramedical and Nursing courses. It has now completed 25 years with its monograph collection at more than 17,000, foreign journals (mostly e-journals) which number more than a thousand and 119 Indian Journals. It has a rich collection of over 5400 back volumes of journals.